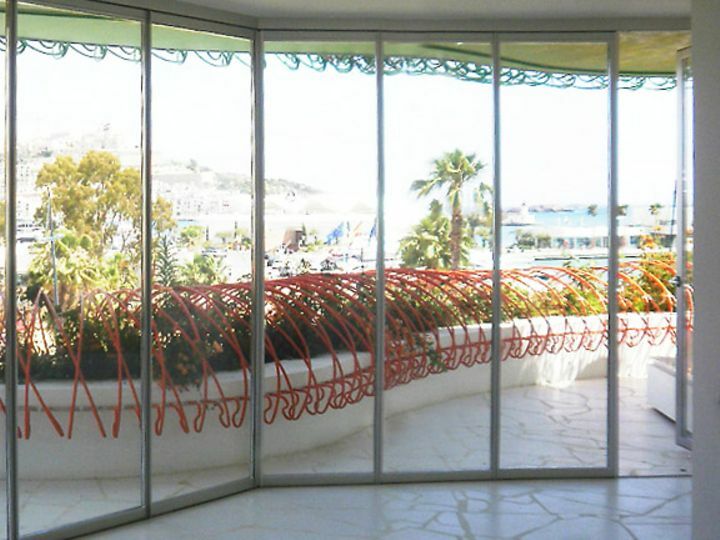 This residential project comprises two buildings: The Boas and Patio Blanco. With over 35,000 m2 building plot, it consists of nearly 300 luxury homes, all different and their surface area ranging from 80 to 250 m2. With its prime location all apartments have different great views of the Balearic Islands, either Formentera or Dalt Vila, Ibiza's Old Town declared an UNESCO World Heritage Site. 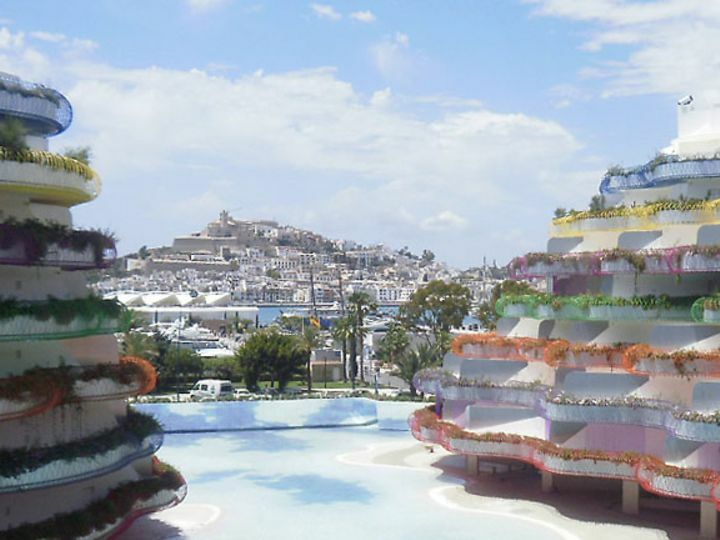 This resort combines the unique aspects of life in Ibiza, tradition and modernity, in a spectacular set, where the interior with the exterior is integrated. The Bolao Building stands out for its form Italian theatre with port and citadel overlooking. 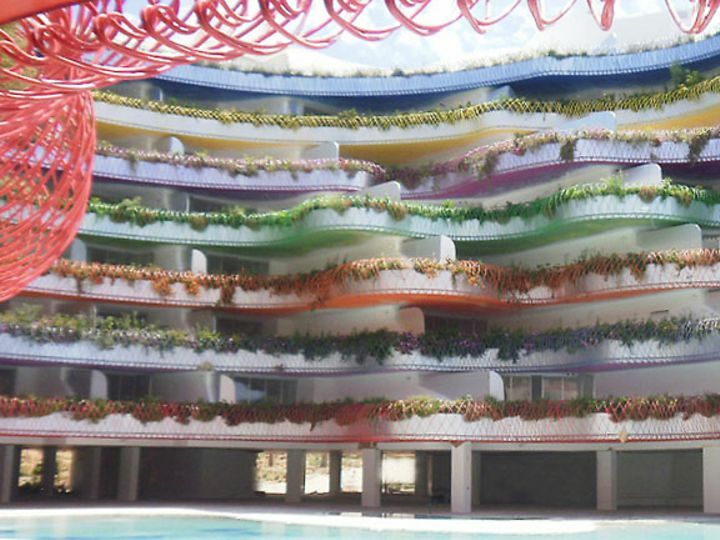 The rolling terraces, decorated in different colours using coloured steel and plants, forming a grandstand around the pool, which juts out into the space of the building. The White Building Patio, located second line and smaller, is based on the typical Mediterranean white houses. His lines are much straighter and more austere in terms of color. dormakaba has participated in this ambitious project with BSW system in all apartments, allowing better communication between the interior and the exterior and creating the right visual effect through their transparency. Also, the TS 90 door closer and the fitting and accessories ARCOS system for glass doors offer maximum functionality with an aesthetic plus.